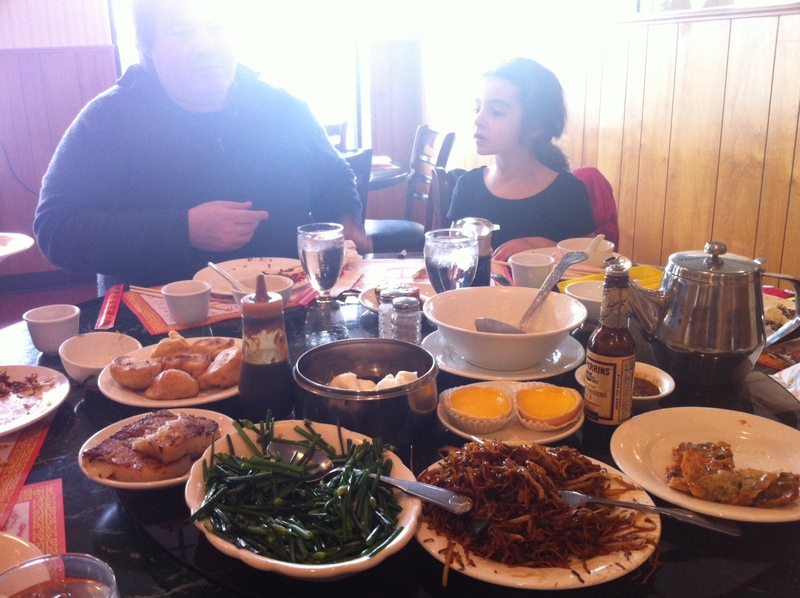 Our dim sum spread across the lazy susan. 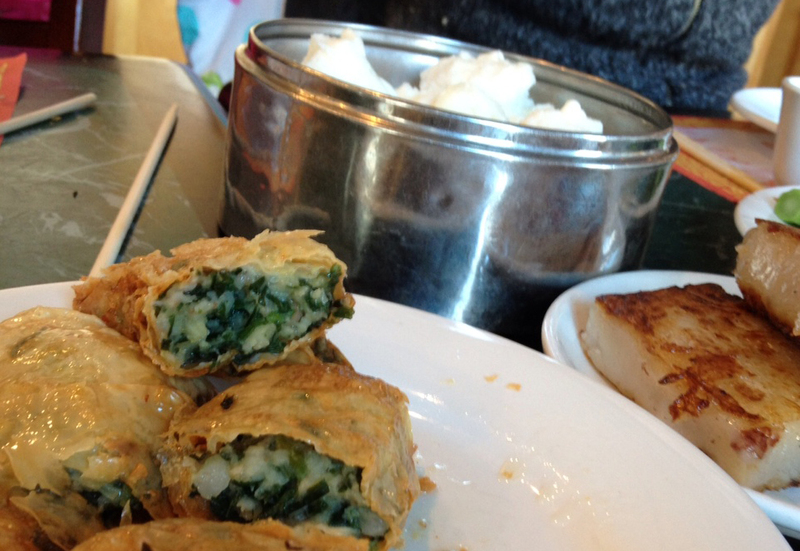 We might have been inspired by the children’s book Yum Yum Dim Sum that we had borrowed from the library or perhaps from our lazy morning browsing photos from our Taipei trip–but suddenly we had the urge for dim sum. Pan Fried Tofu Wraps, Steamed BBQ Pork Buns, and Pan Fried Turnip Cakes. We arrived at Lucky Garden midday Saturday to find bustling tables filled with both Chinese and American families sampling the dozens of dishes on their special dim sum menu. Our favorites included the crispy Pan Fried Tofu Wrap with chives, the Pan Fried Turnip Cake, Chicken Congee (a porridge-like soup with chicken), Scallion Pancake, Salt & Pepper Homemade Tofu, and Steamed Fried Dough Rice Rolls (basically a doughnut wrapped in a noodle–how can you not like this?). The desserts, also, were excellent–their egg tarts are made with a delicious buttery homemade dough, and although I tend to avoid the more gelatinous desserts, even I couldn’t resist their coconut pudding. As usual, we ordered way too much, which is why the following weekend, we wisely decided to invite some friends along with us. Another one for the list! I think this one sooner rather than later.